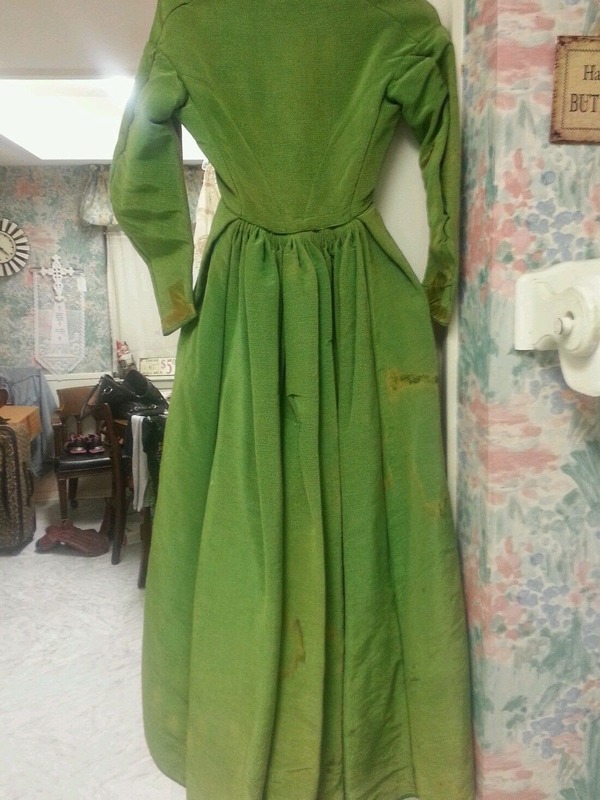 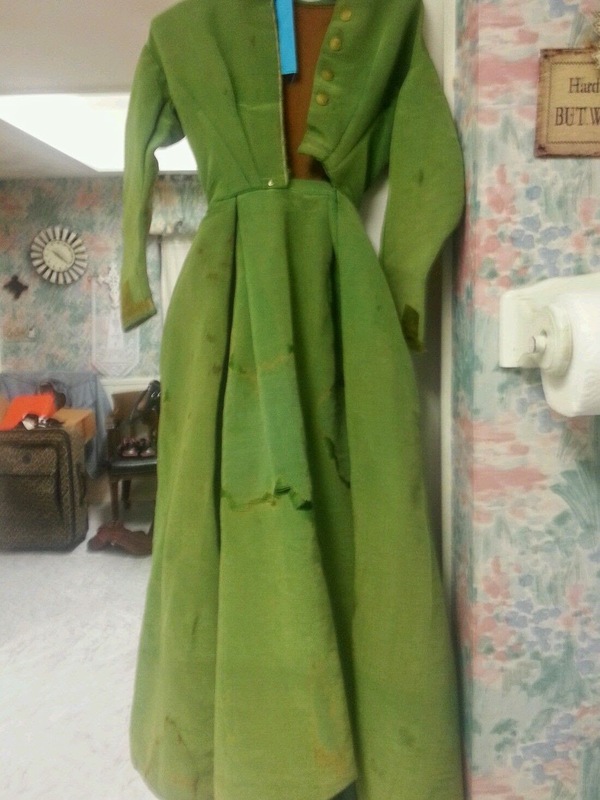 Authentic Victorian Dress size S. Not in perfect condition but this is the real deal. Interesting period piece. 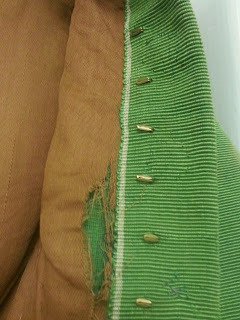 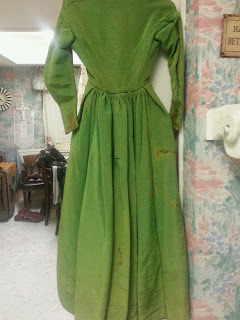 Based on the back pleating and what we can see of the bodice, I'm putting this about 1865. 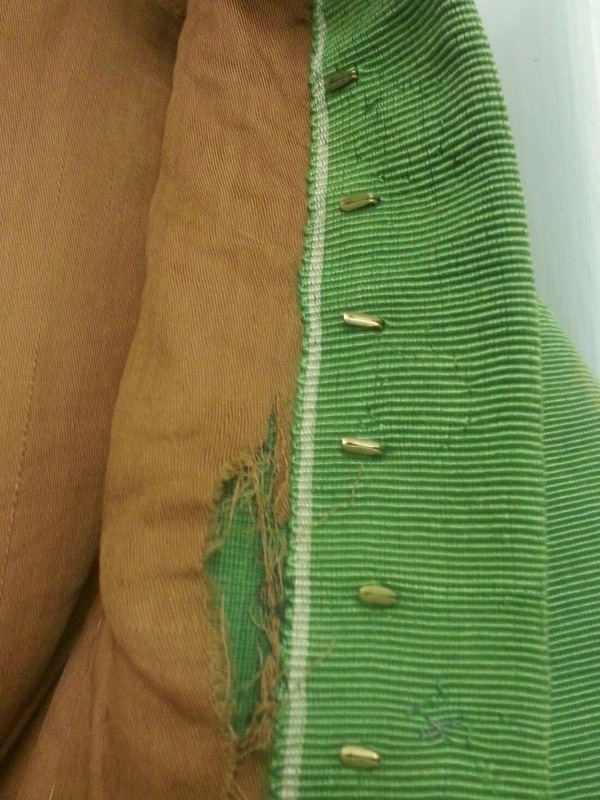 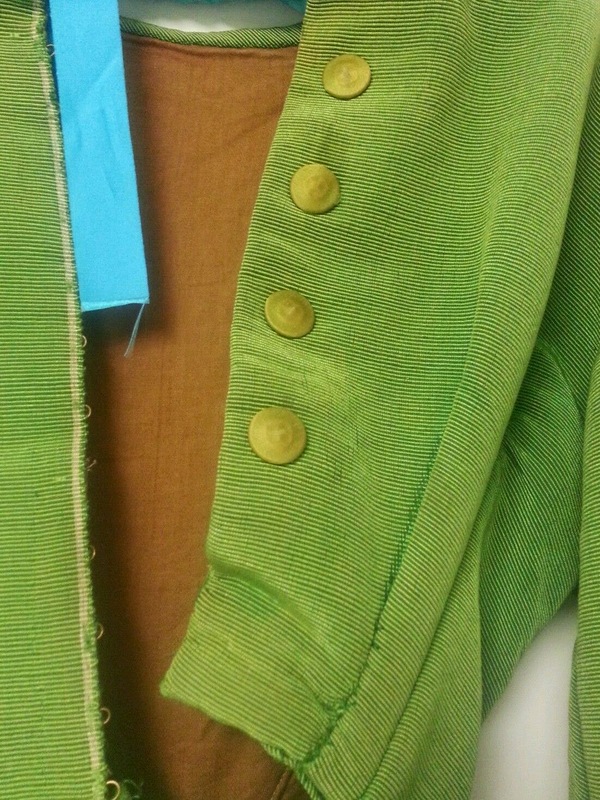 It could have been worn at the tail end of the American Civil War, based on the bodice style (particularly that trim placement). 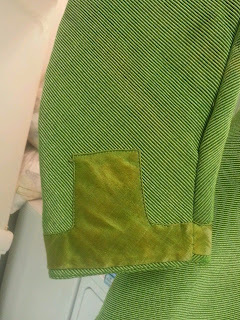 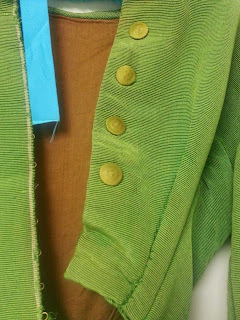 I love the bright green color.